Habitat - Open woods, clearings, thickets, hammocks, sandhills, coastal swales. 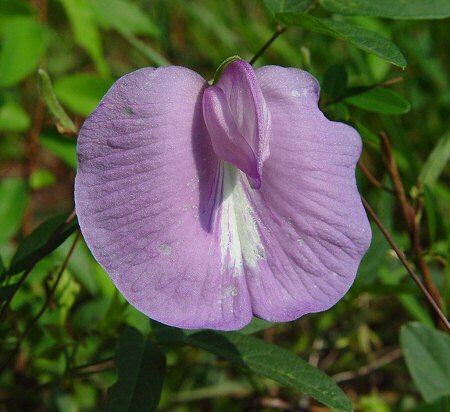 Other information - This attractive species can be throughout much of Alabama but is less common in the northwest corner of the state. 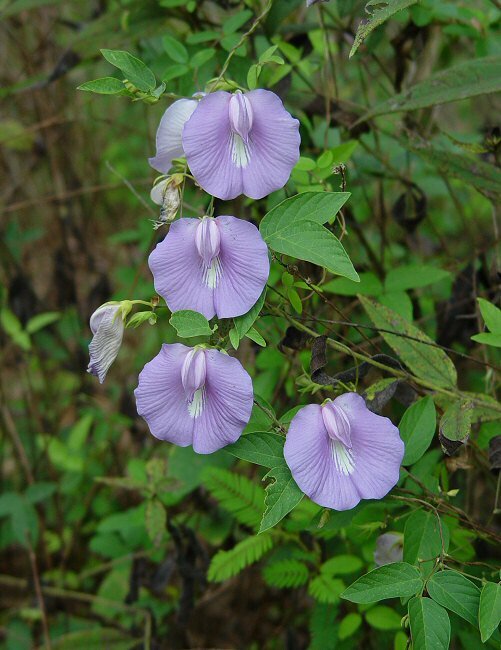 This is an easy species to identify becasue of its big purple flowers and vining habit. 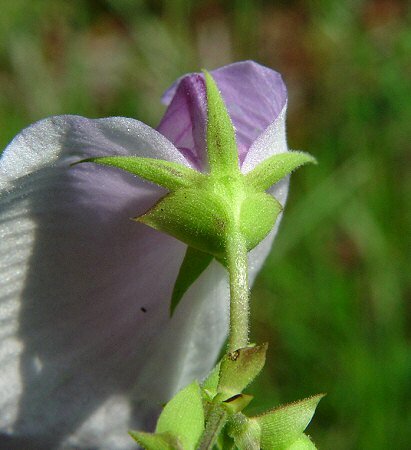 Another species, Clitoria mariana L., is similar but the latter has a tubular calyx that is much different from that of Centrosema. 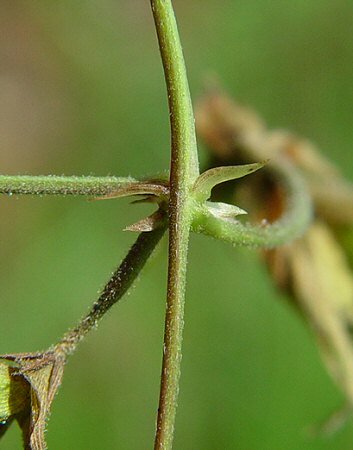 The genus name Centrosema derives from the Greek "centr(o)" meaning "a point, spur" and "semae" meaning "a standard" referring to the spur at the base of the standard petal. The species epithet virginianum means "Virginian." Photographs taken off Lee Rd 10, Lee County, AL., 8-24-04, and off Hickory Rd, near Lake Martin, AL., 8-12-05.